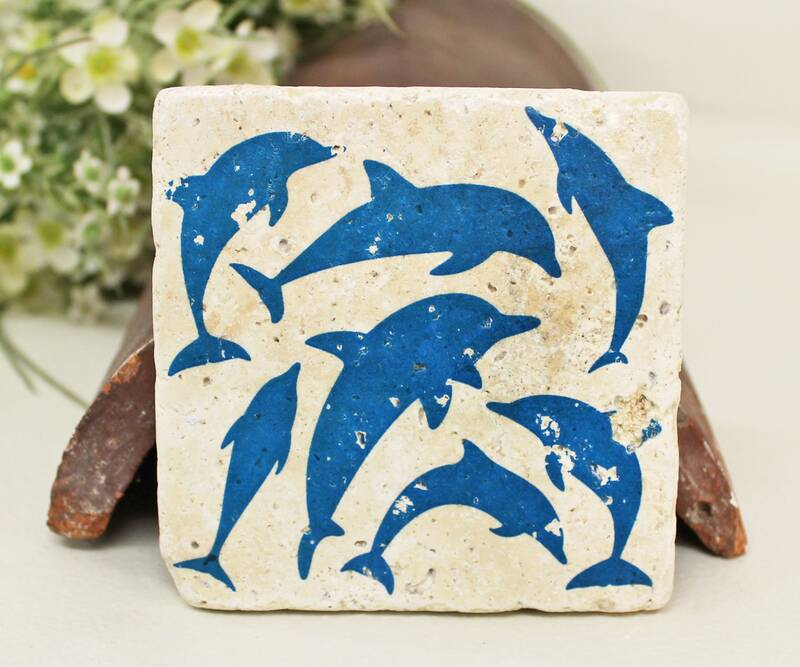 Our vintage tiles make themselves beautiful as coasters, wall decorations and, of course, as a small gift. These very special motif tiles made of travertine have the format 10 x 10 cm. Design: "Dolphins." Since each piece is unique, small differences are possible. The tile can be attached to the wall quickly and easily with tile or assembly glue. We produce individual motifs at an additional cost (depending on the effort). Please do not hesitate to ask us via the contact form or an email to: info [!at] toultime.de.